Begin creating your guest list as soon as possible. Ask both sets of parents for a list of people they would like to invite. Don't forget to make your own list with your fiance'. After the guest list have been finalized, make sure that all names are spelled correctly and that addresses are current. Do you want children to attend? If so, add their names to your guest list so that they are included in the count for the caterer. All children over the age of 16 should receive their own invitation. 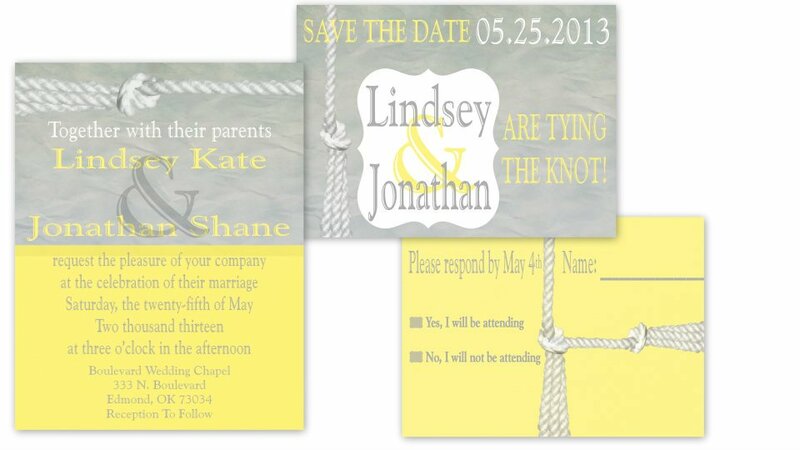 Decide on the type of invitations that you would like to purchase. There are 3 types of invitations: traditional/formal (white, soft cream, or ivory), contemporary (personal reflection of the couple), and informal (handwritten or preprinted). 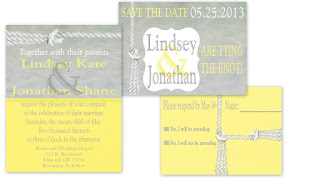 The above invitation is an example of a contemporary style. Order your invitations at least 4 months before the wedding. Allow an additional month for engraved invitations. Mail your invitations 6-8 weeks before the wedding. Order approximately 20% more stationery than your actual guest count. Want to relieve some of your stress?